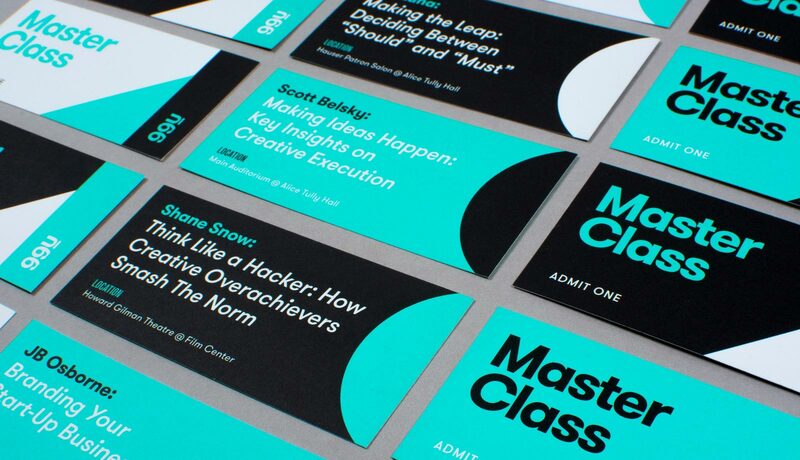 Sans-serifs are so hot right now. Typefaces inspired by early grotesque fonts are being used by everyone from major brands to trendy publications and club nights. Loosely geometric letterforms with a quirky and slightly naive character seem to exhibit just the right amount of warmth and clarity to make them suitable for all kinds of brands. Meanwhile, more refined alternatives to the neo-grotesques of the 1950’s continue to provide sturdy workhorse-like characteristics that make them essential for use in many applications. I’ve compiled a list of some of my favourite grotesque / neo-grotesque sans-serif typefaces, all released in the last few years by a number of different font foundries. It’s exciting to see so much variation and innovation within a genre that on the surface could seem exhausted. With so many beautiful sans-serif fonts available today, there really is no excuse to reach for Helvetica any more! Acumin is a brand new neo-grotesque super-family from Adobe. It boasts a mammoth 90(!) different fonts (nine weight in five widths with corresponding obliques) and is designed to work equally well at both display and text sizes. Acumin is available via Typekit and Creative Cloud so I expect that we’ll start to see this used all over the place. Adelle Sans is a grotesque counterpart to the awarding-winning slab serif; Adelle. It is designed to be a versatile companion and features a range of weights with italics. 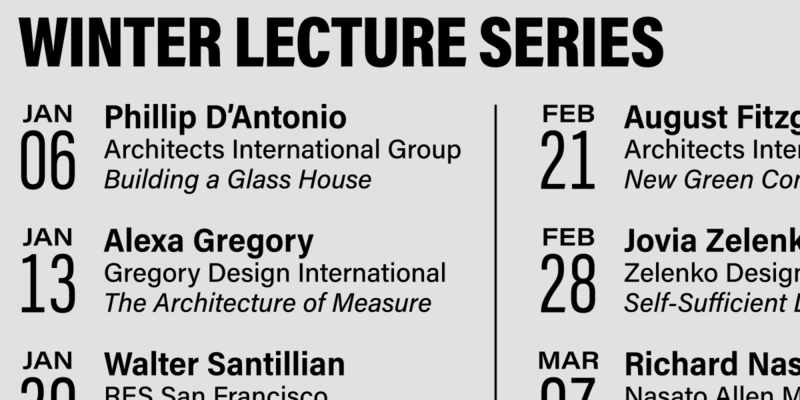 The italics aren’t simply slanted versions of the regular fonts but were designed separately and as such take on a more exaggerated character. Aktiv was designed as an alternative to the what the designer described as the “vanilla ice cream” of typefaces; Helvetica. It’s a contemporary interpretation of the grotesque model with eight weights and three widths, with corresponding italics. It works best when used for headings and short copy and seems to render really nicely on the web. Averta is a geometric sans that takes features from both early european grotesques and american gothics. It has a range of OpenType features including stylistic alternate glyphs and an extended character set that supports over 200 languages. Averta is the most popular typeface from The Designers Foundry (formally Ten Dollar Fonts) which strives to provide high quality yet affordable typefaces. 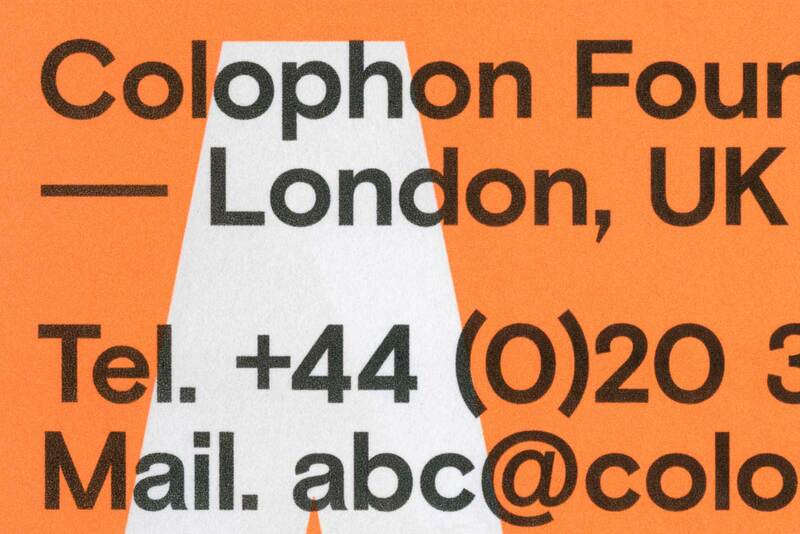 Basis Grotesque is the latest offering from the Colophon Foundry who also publish the extremely trendy Apercu typeface. It feels a little wider and more geometric than its sibling but has a similar quirky character. One of the most interesting features of the font family is that it has an “off-white” weight designed for use on block colour backgrounds. White text on a dark background tends to ‘bleed’ and look thicker so I assume that the off-weight font is a touch thinner than its regular counterpart. Calibre is a neo-grotesque based upon geometric forms. What makes Calibre unique is that it was designed alongside Metric; a font which follows the same geometric shapes but with a humanist flavour. Both fonts are published by the fantastic Klim foundry. Klim is part of a consortium of 11 font foundries that call themselves “Village”. It’s well worth checking out the brilliant Village website as a starting point for all sorts of typographic inspiration. 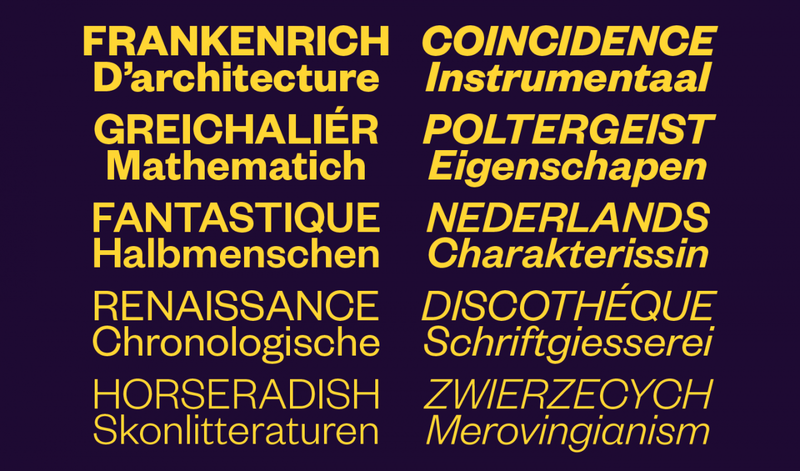 Circular, from Swiss foundry Lineto, is designer Laurenz Brunner’s follow up to his acclaimed Akkurat font. Circular is based upon geometric principles but it has a great deal of warmth and personality. It has only been available for a couple of years but is already proving to be wildly popular. 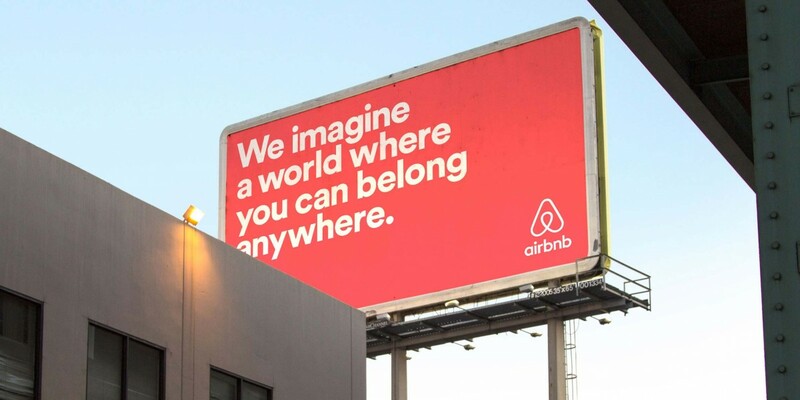 It has featured in some high profile rebrands such as Airbnb, Spotify, Atlassian and Trainline in the UK. It has a relatively meagre four weights with matching italics but it doesn’t need any more — I think that it’s one of the most beautiful fonts I’ve seen. 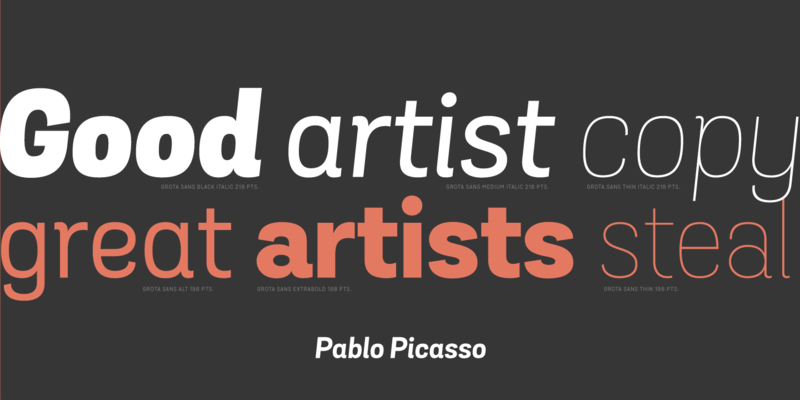 I noticed Flaco recently on MyFonts new releases page. It’s so new, that I’ve been not been able to find a lot of information on the font. It looks to be a rather charming neo-grotesque with good range of weights and italics. Founders Grotesk is another Klim font by New Zealand designer Kris Sowersby and is based upon early 20th century grotesques. One of the most distinctive features of the typeface is the almost closed counter of the ‘C’ and the ‘G’. Founders Grotesk comes in a range of weights and also has a ‘text’ variant for use at small sizes as well as a condensed version. There’s a fantastic explanation of the rational behind the type family on the Klim foundry site. Graphik is a functional sans-serif from esteemed American type designer Christian Schwartz (creator of Guardian slab and Neutraface amongst others). It’s perfectly suited to publication design and has been used in several internationally popular magazines. 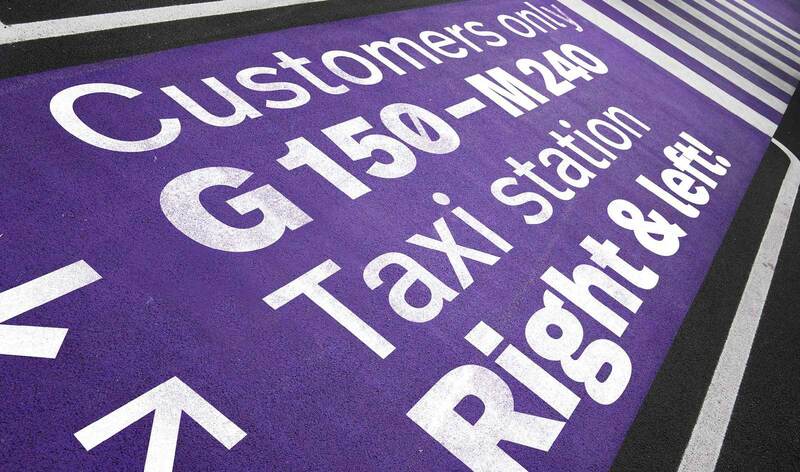 Commercial Type last year also released Produkt — a slab serif designed to be used as a companion to Graphik. Grota Sans a neo-grotesque with a latin flair. It’s part of the Grota Super Family from the Chilean type foundry Latinotype. The original Grota typeface is a rather interesting ‘unicase’ font and the regular sans version adds versatility and functionality to the family. I’m a big fan of lots of the fonts from Latinotype type — they always have bags of character and can also be very affordable. Grota Sans comes in ten weights with an alternate character set for each as well as corresponding italics. The Grilli Type foundry only currently sell five typefaces but they seem to already have quirky and trendy typographic needs pretty well sewn-up. 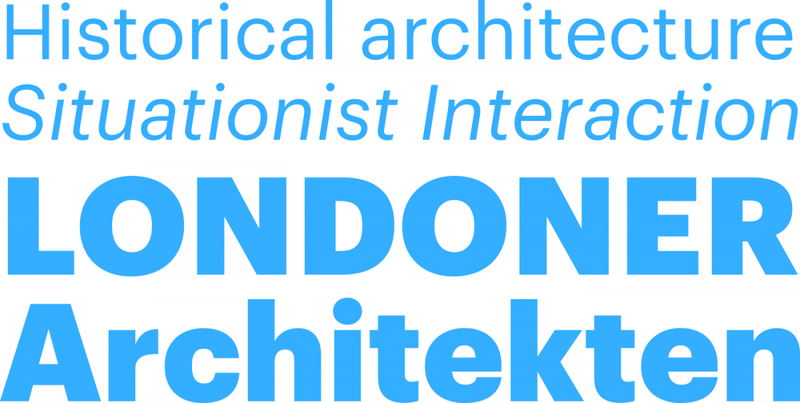 Haptik is a geometric grotesque with an interesting twist. The uppercase characters were designed so that they could be read by touch alone. This means that the letters R, G, C, 0 are rather unusual and distinctive, although there are conventional alternative characters available as well. 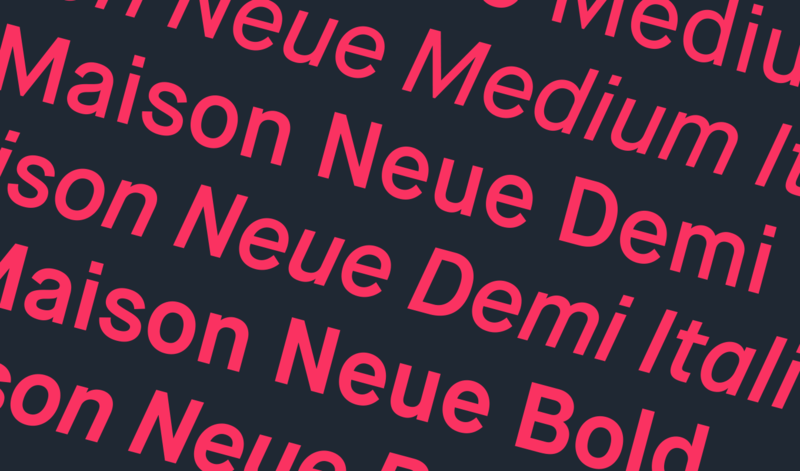 Maison Neue is a reworked version of the earlier Maison typeface. It is a less strictly geometric neo-grotesque with greater consideration placed upon harmony and flow. Maison Neue has a contemporary, quirky and somewhat trendy feel and is available in twelve styles including obliques and a monospaced version. 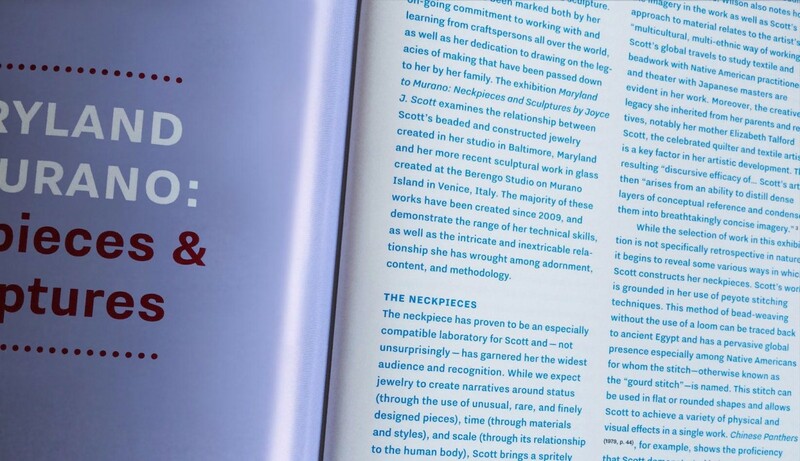 I first discovered National on the Harvard Business Review website where it works beautifully in numerous weights both as a text font and as a display typeface. National is yet another typeface by Kris Sowersby and his Klim foundry (his fonts are truly stunning!). 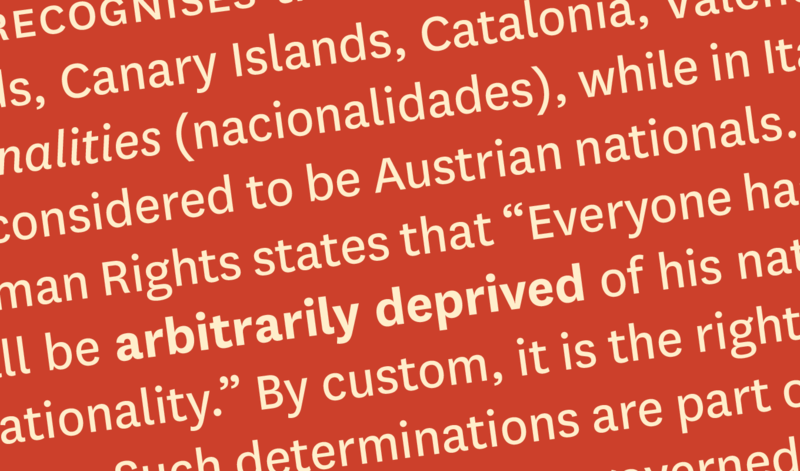 National is based upon early grotesques and has a slightly quirky but not too distracting feel. 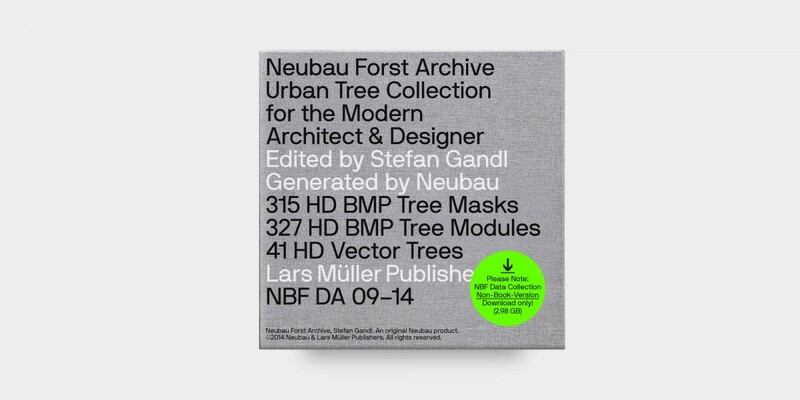 Neubau Grotesk is based upon a strict grid and looks a little like a rudimentary version of DIN. The most unique aspect of the typeface is the fact that optical corrections were deliberately not implemented, making the font truly monoline. When the stroke width of a ‘geometric’ letter is not modulated, an optical illusion makes the horizontal parts of the letters look thicker. 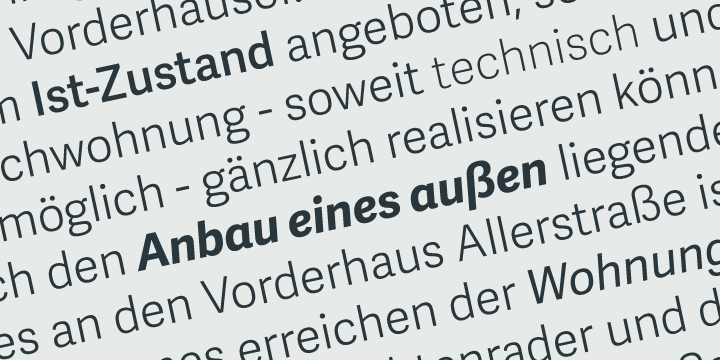 It’s this unique feature that gives Neubau a rather idiosyncratic feel but it is not recommended for long-form text. Neue Haas Grotesk is revival of the original 1957 version of Helvetica. Over the years, digitized versions of this ubiquitous typeface stripped out some of the charm of the font. Neue Haas Grotesk restores many of the features that made Helvetica so well loved by modernist designers. It was designed initially for the Bloomberg Businessweek redesign in 2010, by Christian Schwartz. There are two versions of the typeface; a display one for headings and a text font for paragraphs. There’s also a great microsite that explains all of the carefully considered features of this neo-grotesque. Neue Haas Unica is another revival — of a neo-grotesque typeface designed in the 1970s that was never properly digitized. 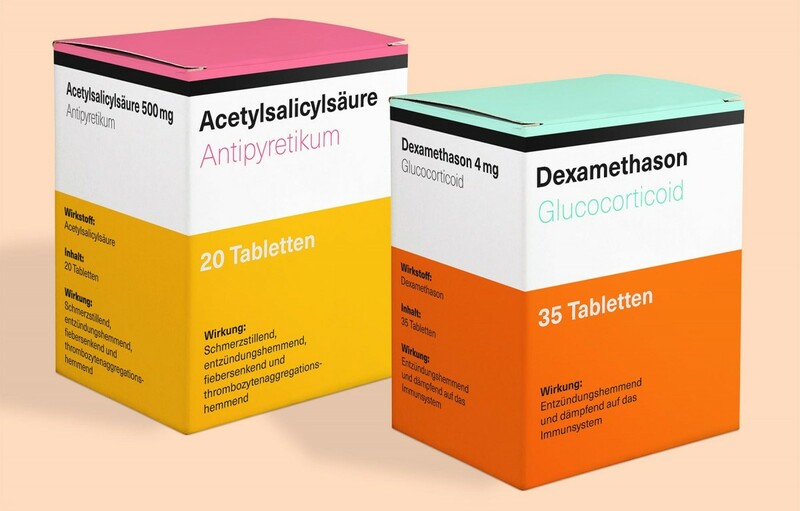 Unica is an attempt at creating the ultimate sans-serif by merging the best bits of Helvetica, Univers and Akzidenz Grotesk. It comes in nine weights with matching obliques. Nitti Grotesk is a proportional companion to ‘Nitti’ — a rather nice monospaced sans -serif named after one of Al Capone’s henchman. It’s a little quirky, but it’s refined and very versatile. For me, it’s got just the right amount of character — it has personality but it remains neutral and very legible. 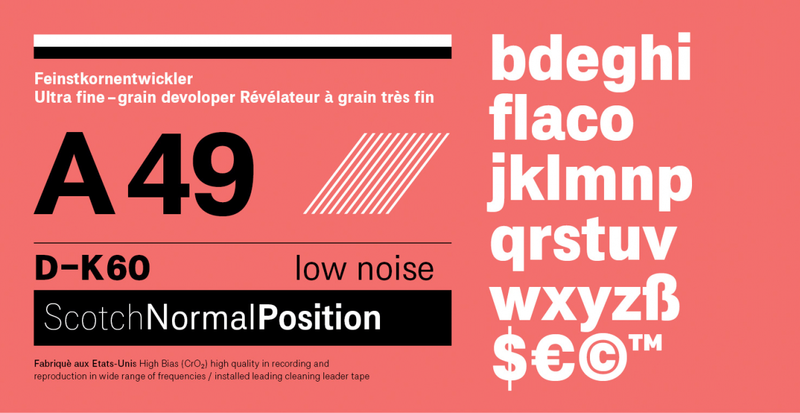 FF Real is a new grotesque from typographic luminary Erik Spiekermann and designer Ralph Olivier du Carrois. It looks rather different to lots of the grotesques featured on this page and for me feels closer to Gotham or Proxima Nova than say, Helvetica. Real has both a display version and a text variant making it perfectly optimised for either headings or paragraphs. It has a wide range of weights but does not currently have italics (this may well be deliberate). Roboto is the native UI font used on the Android operating system. Designed by Google, it’s available to download for free and can also used on websites for no charge, via Google Fonts. Despite being a free typeface, it has a lot of features that are more usually reserved for professional fonts such as a range weights, condensed versions and extended character sets. I’m a big fan of Roboto – I think it’s clean and clear and works beautifully on screen. Its only downside is its ubiquity. I discovered Soleil on Typekit and it has recently become somewhat of a favourite for me in my web design work. Soleil is loosely based upon geometric forms giving it a modernist feel but it has been substantially played with to give it a warm personality. Interestingly, Soleil also has a very cool companion display font; Soleil Magic Caps. Supria Sans is a quirky neo-grotesque by Hannes Van Döhren, designer of the very popular Brandon Grotesque typeface, amongst many others. It has a good range of weights, beautiful italics and a condensed version of the typeface making it a versatile font. 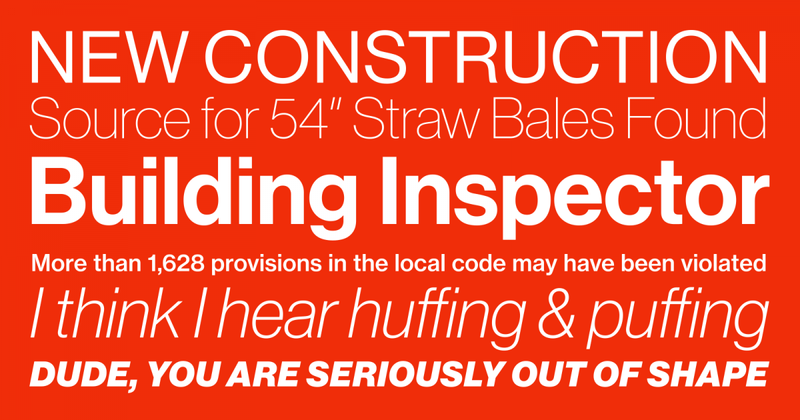 Supria Sans is a workhorse typeface with a playful character. Walsheim is another font from Swiss foundry Grilli Type. It’s a warm, friendly and trendy geometric neo-grotesque. It’s inspired by 1930’s lettering on Swiss posters and comes in eight weights with corresponding obliques. 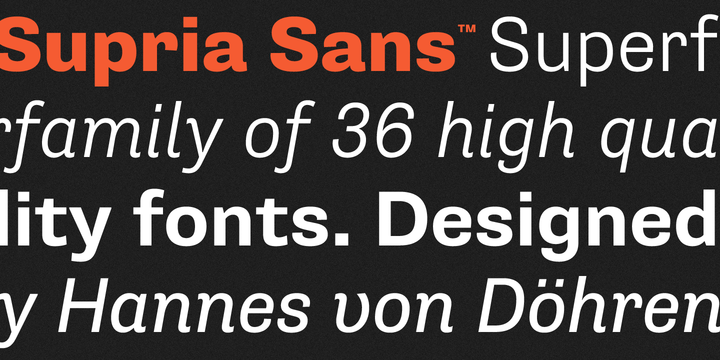 Works Sans is an exciting new open source project. It’s based upon early grotesque fonts and as such has a quirky character that is very much en-vogue at the moment. There are nine weights but currently no italics, although Work Sans is very much still a work-in-progress. The middle weights are optimised for on-screen text whilst the thinner and thicker weights are designed for larger display use. Urban Grotesk attempts to encompass all of the best traditions of grotesque typefaces. It has a large character set, six weights with matching italics and seems to work well both at text sizes and for headings.